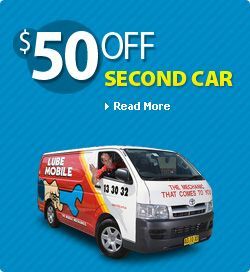 Lubemobile mechanics are available wherever you are like in Peregian Springs. We attend to your vehicle wherever it is which includes anywhere from Mooloolaba, Peregian Beach and Buderim, and anywhere in between. We are Australia’s #1 mobile mechanic fleet attending to you when you need us. You can get your car serviced on holiday. Have the tyres replaced or rotated at work. 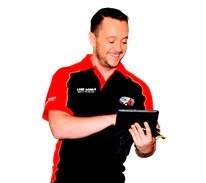 Our mechanics have serviced over 716 vehicles in your area over the past 3 months alone. Have a Log book servicing completed entirely on site at your home address. Or our mechanic specialists can travel fully equipped to wherever you specify to carry out work including 3 year service and fixing noisy bearings. Mechanic (Joon) was very friendly and efficient. Arrived early and was very good professional. Lubemobile just keep on doing what you do best. Keep your service history up to date on your Audi and Daihatsu without the hassle of being without your car for long periods of time. Happy clients already using the benefits of a fully mobile mechanical service have offered over 24 from the Sunshine Coast region. Take advange of the 7 Lube Mobile has in your area. Your mechanic will arrive at your preferred location with everything they need to service your vehicle. When we say ‘mobile mechanic’ we really mean it. No matter the make and model of your car, we guarantee that the professional who arrives at your job will have what they need to complete a full service, on the spot. Most recently, our mechanics have commonly serviced Toyota, Holden and Ford. All vehicle types are serviced on location so there’s no need to have anything taken into a workshop. Our most recent services in your area have included Jeep, Hyundai and Honda. Fully equipped mechanics mean that whatever is required for your vehicle is available quickly. We use only the highest quality parts like transfer case, battery replacement and fuel injector.